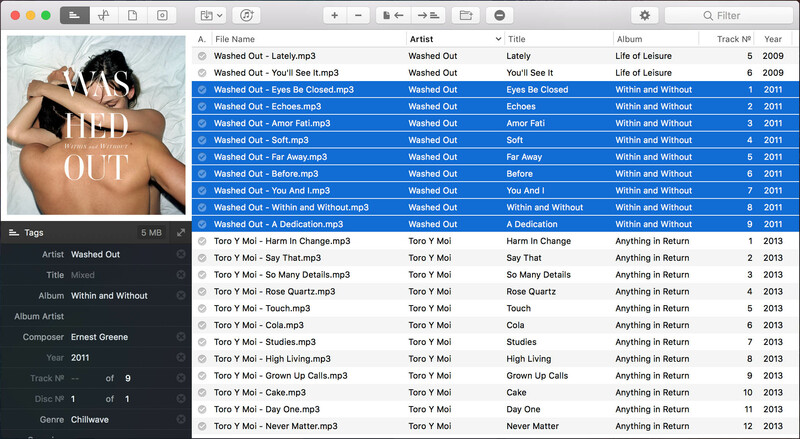 Music Tag Editor 3.1.3 – Easily edit music tags. Tag Editor 1.0.6 – Handy spreadsheet for quick ID3 tagging. A Better Finder Rename 10.00b2 – File, photo, and MP3 batch renamer (beta).